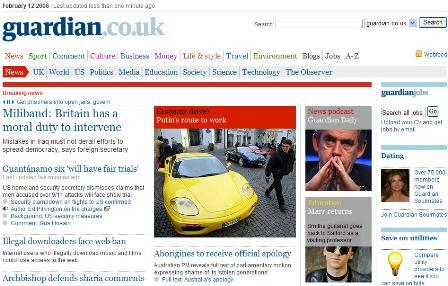 The Guardian continued the redesign of its site this week, unveiling a new look to the navigation as well as dropping the ‘unlimited‘ from its name. The newspaper is currently in the middle of an ongoing redesign process, which started with a new look for the homepage in May last year. The new navigation looks good, and is an improvement on the previous version, though it has yet to link up properly with the rest of the site. Until this is done, the site is a bit of a hotchpotch of different styles. Emily Bell has explained some of the changes, including the lack of a direct link to the football section (and others) from the homepage, which was picked up by a lot of people. Another interesting feature is the total lack of any ads on the homepage, which makes for a much cleaner look, though this may just be down to the redesign. Football link issues aside, the redesign is coming along nicely, and the site will be much improved once the revamp has been completed and the navigation is consistent throughout. 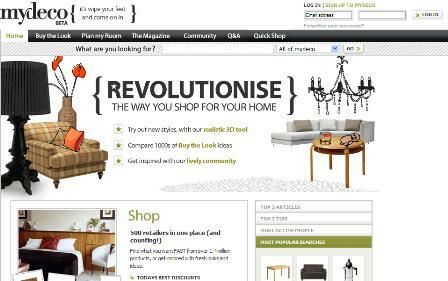 Mydeco.com is an interior design website which aggregates products from 500 retail partners, including Marks &Spencer, John Lewis, and Argos. The company surveyed more than 10,500 visitors to 30 top retail websites in the UK to find out what drives site traffic, sales and satisfaction. Over a third (34%) cited free delivery as the most important factor in their last purchase decision. A positive site experience was the only other thing mentioned by a significant amount of respondents (15%). Do you make these email marketing mistakes? Email is still one of the most effective marketing channels for a small business today – it is cheaper, more measurable and can be targeted more effectively than traditional direct mail. More than half of the respondents to our 2007 Industry Census that tracked their ROI, said that income from email marketing was three times or more than the amount spent , while almost a third said it was five times or more.